Just 2 minutes' walk from Wanganui's city centre, Kings Court Motel offers spacious studios and apartments with free Wi-Fi, cooking facilities and an LCD TV with satellite channels. Free parking is provided outside each unit and guests receive a free daily newspaper. 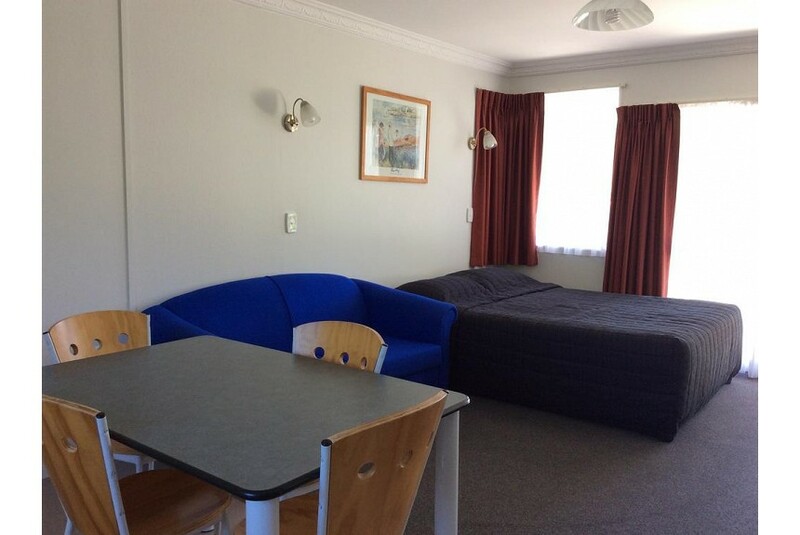 Set in a quiet location, all motel at Kings Court Motel Wanganui is located on the ground floor and includes a microwave, refrigerator, heating and electric blankets. Some motel includes a fully equipped kitchen and guest laundry facilities are available. Guests have access to a garden area with sun terrace and BBQ facilities. Cooked or continental breakfasts are available for guests. The shops, restaurants and cafes of Victoria Avenue are only a 3-minute walk away. It is an 8-minute walk to the banks of the Wanganui River and 10 minutes’ drive from Wanganui Airport.